Nutec Bickley provides Galvanizing Kettles equipped with high velocity burner and ceramic fiber lining, pre-assembled and carefully tested at our facilities, ready for transportation and/or installation on-site. 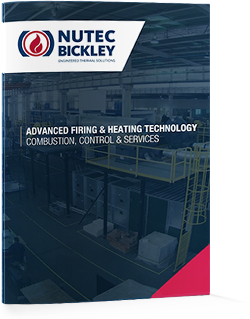 Nutec Bickley has full capability to offer complete control and instrumentation system to suit each customer’s requirement – from simple to very advanced and sophisticated controls. Temperature control loops, fuel ratio control loops, instrumentation for over temperature by stand-alone instruments or PLC based SCADA (Supervisory Control And Data Acquisition) software control systems are offered. Compliance with the NFPA-86 norm 2011 ed.